Minneapolis, the largest city in the state of Minnesota is also one of the largest metropolitan area in the Midwest. Lying on the banks of the Mississippi River, it is an economic centre based on commerce, finance, industries, tracking and railing services and health care. Aspiring for the CSD training in Minneapolis will give you a boost to survive in this cut-throat competition and help you establish your career. In this 5-day long workshop, expert trainers will coach you in all the necessary aspects of CSD certification in Minneapolis. At the start of the coaching, you will be given introductory lectures to give you a fair idea of the basics of the CSD course in Minneapolis. On the second day, you will be given material on the electives of Certified Scrum Developer training in Minneapolis through apt e-learning and classroom training. Following this, over the next two days, the tutors will give you demos on the technical track of the course. 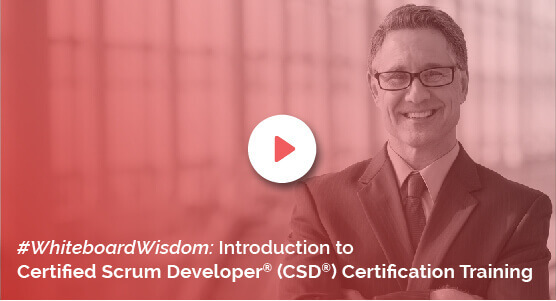 For a very reasonable cost structure, you can avail a lot of benefits when you register for KnowledgeHut Academy’s certified scrum developer certification in Minneapolis. You not only get a 2-year membership with Scrum Alliance along with Scrum Alliance approved course material, but also PDUs and SEUs upon completion of the training. As an institute devoted to making the best of everything available to its trainees, we strive to ensure that everyone who enrols with us has more than just the basics of Certified Scrum Developer training in Minneapolis. The fee you pay will be inclusive of Scrum Alliance Certification Examination fee and also get you free access to our Agile and Scrum e-learning programme for 100 days.